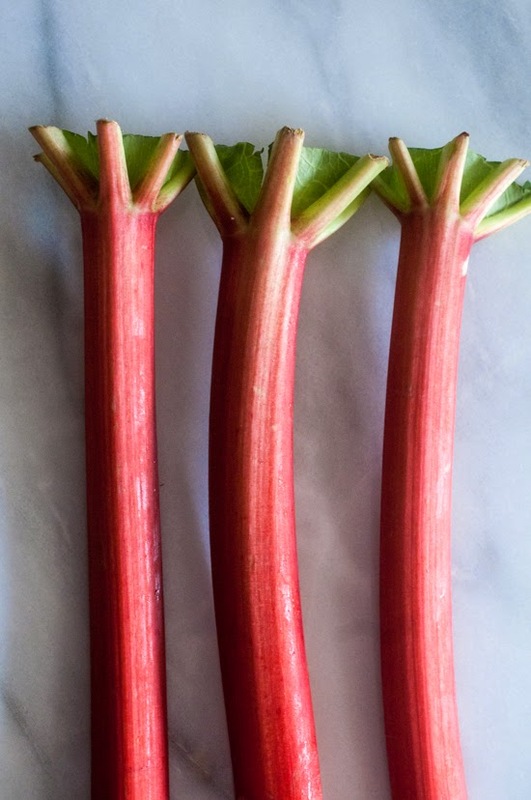 When I spotted fresh rhubarb in the produce section on my grocery trip last week, my mouth started watering. Rhubarb remains one of my all-time favorite flavors. 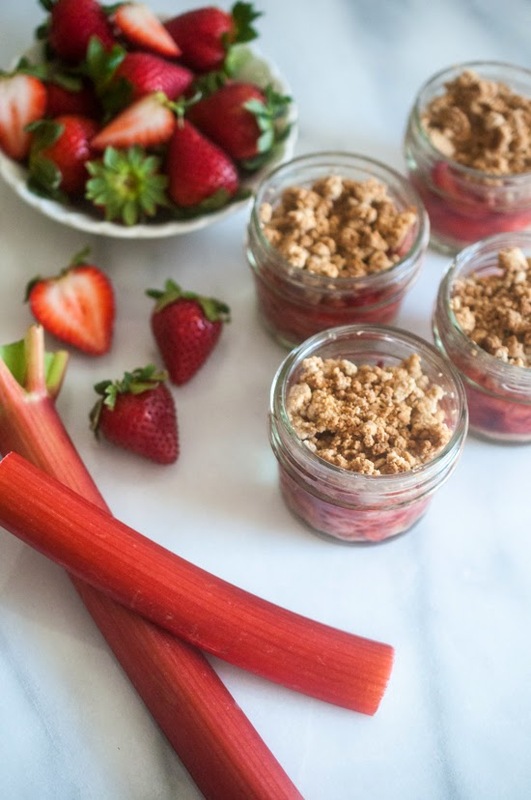 Two years ago, I posted a recipe for a gluten free strawberry rhubarb crumble, but the food I eat is more than a little different these days. 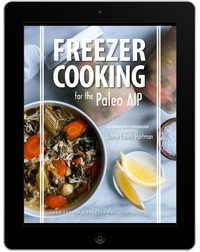 I thought it would be nice to re-visit that recipe & adjust the ingredients make it AIP, paleo, and even vegan! 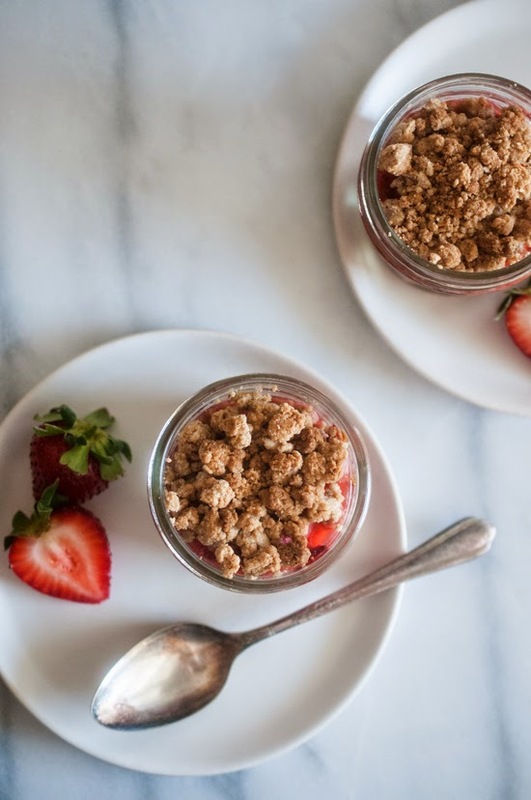 This crumble makes a great spring time dessert & would be a fantastic addition to an Easter menu. 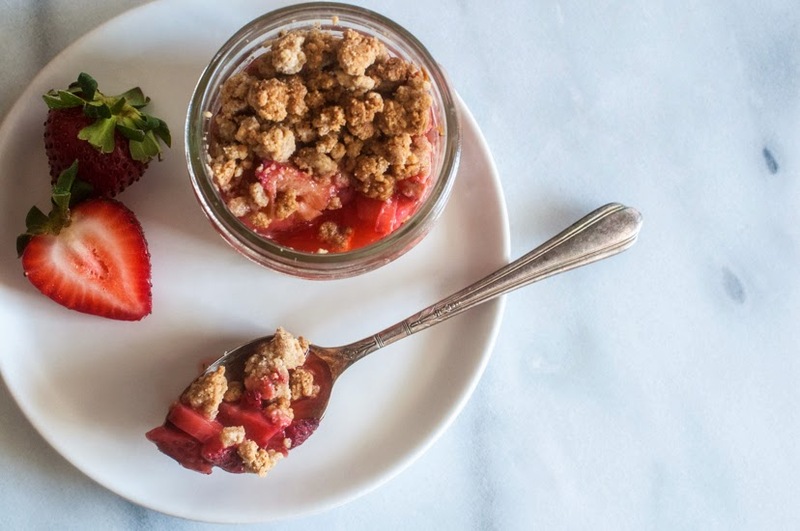 While this crumble could be made for a crowd by baking the entire recipe in one large baking dish, I once again went the route of making individual crumbles. Regular dessert & treat consumption should not be a normal, every-day occurrence. A treat should be just that, a treat! Even though I have not consumed “regular” sugar in almost a year, I still have trouble with willpower around sweets. 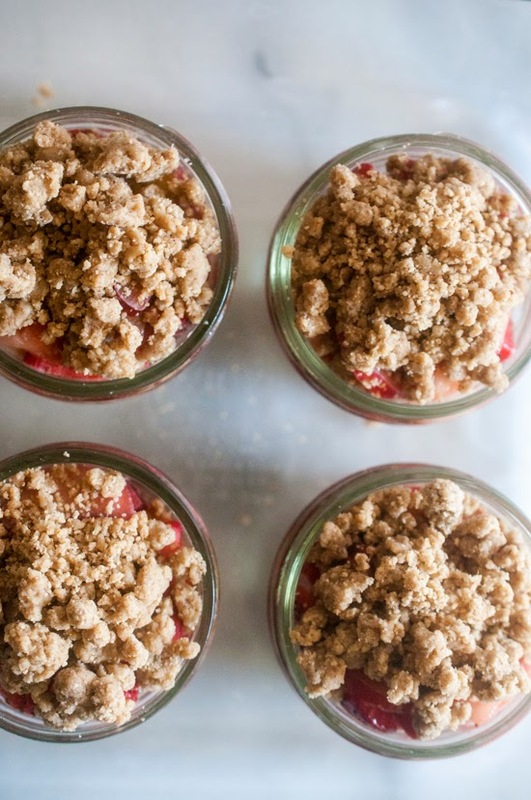 By making the crumbles individual, I resist the temptation to make my portion “just a little bigger” or eat “just a little more.” I very specifically used 4 oz freezer safe mason jars so that I can freeze the leftovers, thus once again removing further overeating temptation. FOR THE TOPPING: Mix together all ingredients with a fork until well combined & crumbly. Reserve in the refrigerator until ready to assemble. 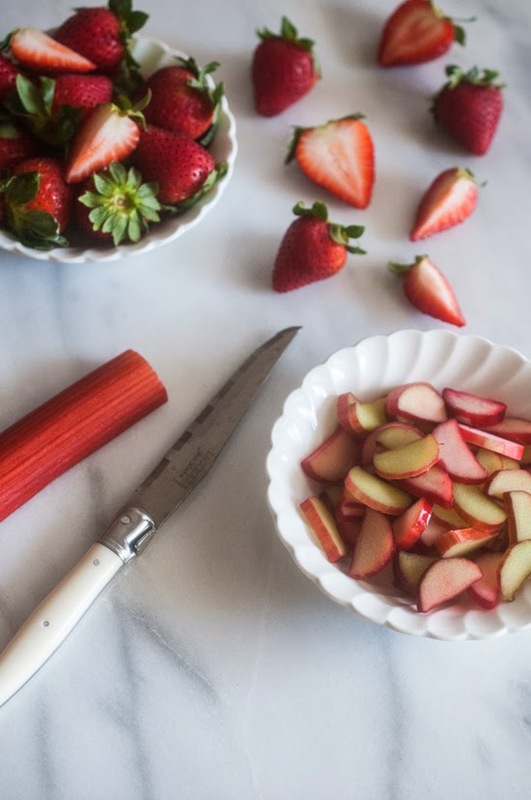 FOR THE FILLING: combine the sliced strawberries & rhubarb. Drizzle the maple syrup over the fruit. Add the arrowroot starch. Mix to combine. 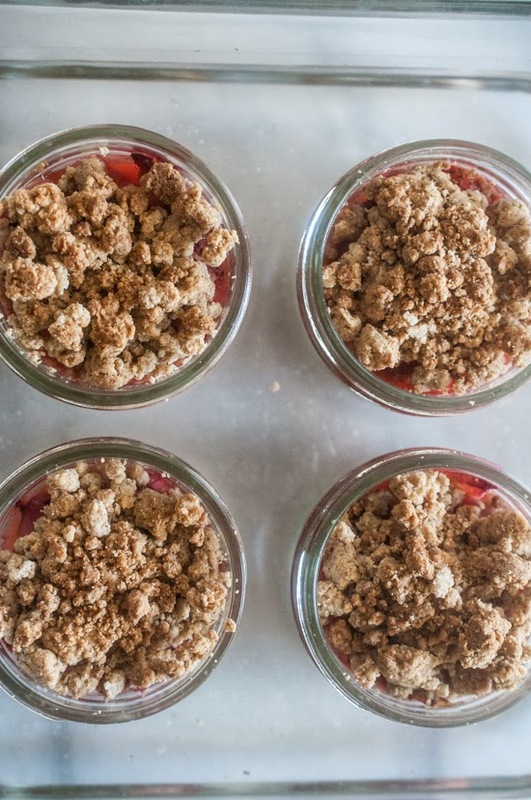 ASSEMBLE: Sprinkle 1 1/2 tsp of topping into the bottom of a small ramekin or mason jar. 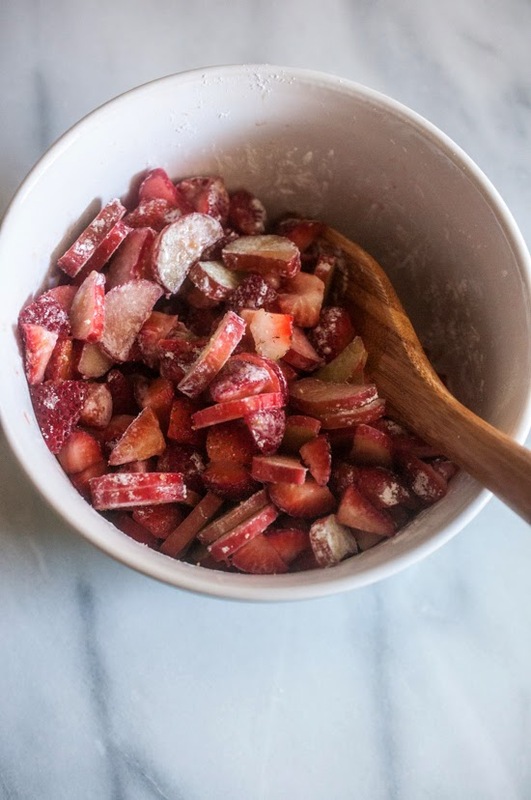 Add a heaping 1/2 cup to 2/3 cup portion of the strawberry-rhubarb filling. Press down the fruit slightly to compress. Spoon two tablespoons of topping over the fruit. 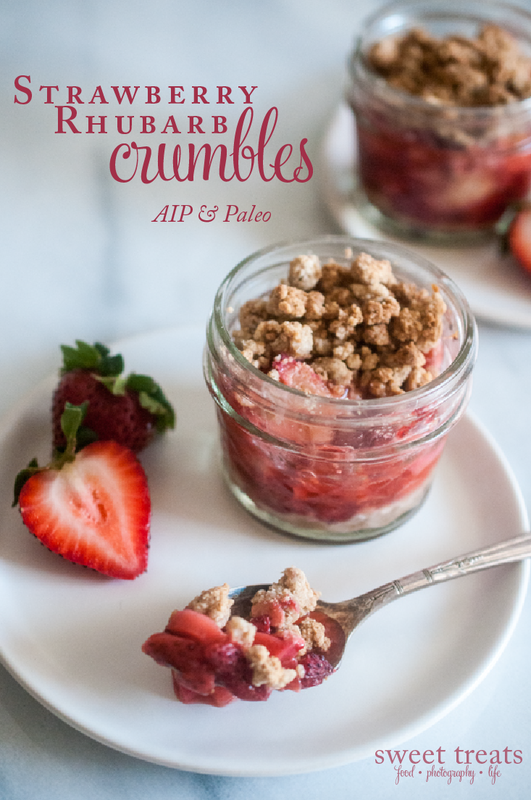 Place the crumbles onto a rimmed pan. Pour water into the pan, making a water bath to protect the containers during the baking process. Bake for 45 minutes, or until the topping is golden & the fruit is bubbly. Cool slightly before serving. Refrigerate or freeze any leftovers. If you really like crumble topping, plan to double the topping recipe--it's addictively delicious! Tasted this recipe first hand. The best recipe ever. Thanks, friend :) This one's a little different though because I "paleo-ified" it ;) But I think it's equally as tasty!! 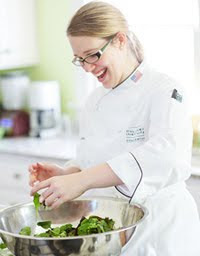 I just found your site and am excited about trying your recipes! (I'm about 2 months into eating phase one AIP and desperate for more variety and an occasional treat.) If I bake this particular recipe in a large dish to serve to my whole family as dessert, what sized glass dish do you recommend using and do I need to adjust the baking time? Thanks! I made this today and it was awesome! Absolutely loooove it! Great job, Laura! 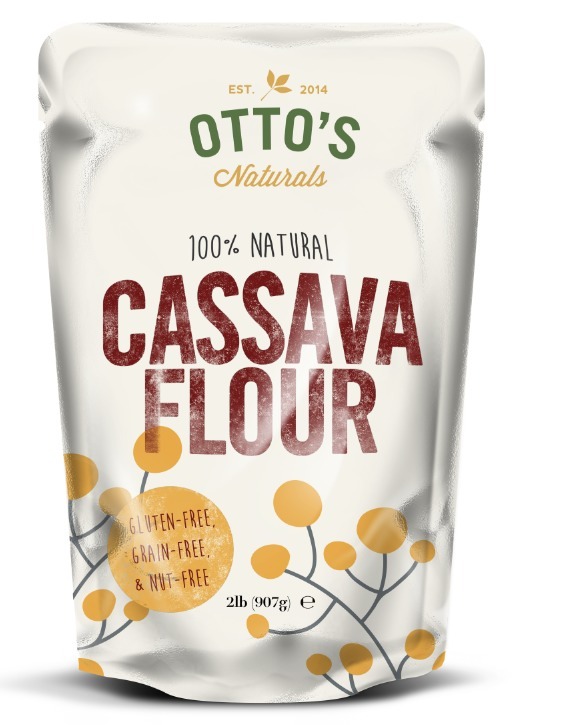 I would love a substitute idea for the tiger nut flour? Thanks. Looks delicious. This was incredibly good. I added lemon zest and orange blossom water to the filling. Any chance of subbing the tigernut for something else like Coconut flour or almond flour?? Those are expensive enough for me without getting tigernut flour now too. 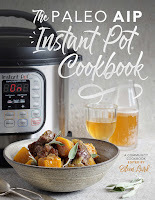 I made this recipe today and absolutely love it! I used a 2 1/2 quart Corningware French White Stoneware dish and spooned the fruit mix on the bottom of the dish and then sprinkled the crumble topping on top of the fruit mix. It baked up just fine without a water bath. This recipe is a keeper! I am making this for the second time, and it's delicious! Thanks for publishing it for everyone. I miss having desserts and foods that I can eat on the AIP protocol. Even my guests love it. I suggest having it with a side of coconut yogurt The yogurt adds some creaminess to the dish!